Sef, the lead guitarist for the Canadian alternative band, Your Favourite Enemies, is a pedal fanatic. His board is loaded with a massive selection of stompboxes, which he blends together in highly creative ways to craft his diverse guitar textures. Sef recently replaced a simpler effects switcher with the BOSS ES-8, and he was blown away by all the amazing things he can do with it. In a four-part video series, the guitarist takes an in-depth walkthrough of how he uses the ES-8, complete with step-by-step parameter settings and real-world playing examples. Along the way, he also talks about the advanced capabilities of another new fave, the BOSS DD-500 Digital Delay. 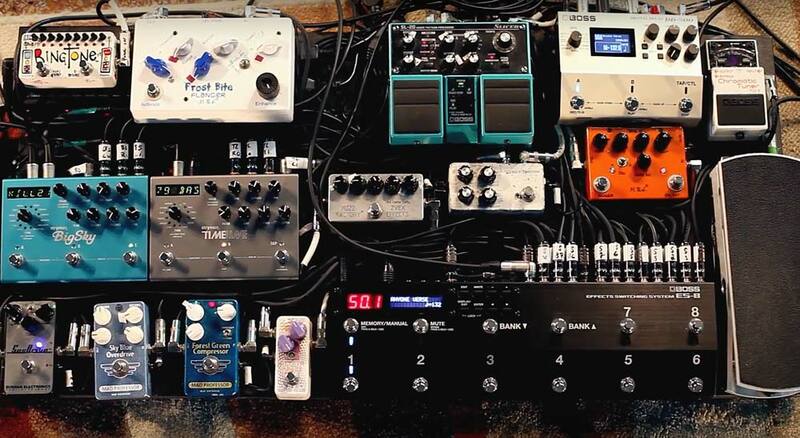 Just a few of the pedals that Sef controls with his ES-8 Effects Switching System. As Sef details throughout the video series, the ES-8 is the smart solution for getting any large pedalboard under control. To learn more, visit the ES-8 product page. Is your pedal setup is a bit more modest than Sef’s? If so, you should check out the ES-5, the ES-8’s smaller sibling. 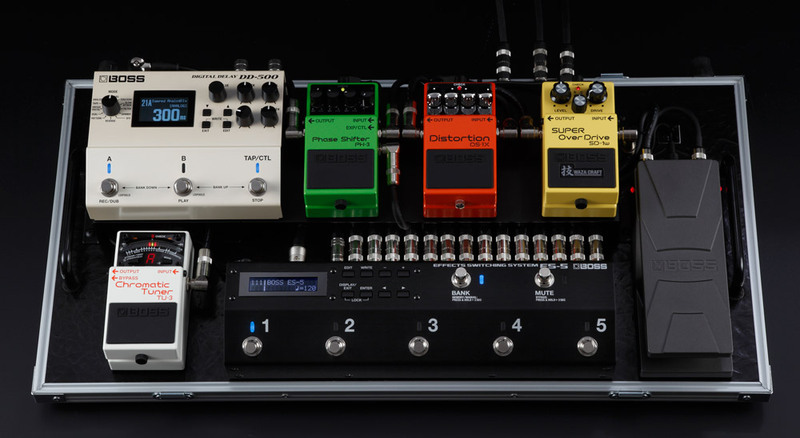 To further explore the advantages of a BOSS effects switcher, take a look at our ES-8 Deep Dive article. It focuses on the extended capabilities of the ES-8, but many of the concepts can be applied to the ES-5 as well. The DD-500 is a powerhouse delay machine with 12 delay modes, deep editing controls, a graphic display, MIDI control, and much more. Learn more at the DD-500 product page. A compact pedalboard with the ES-5 effects switcher and DD-500 delay.